I am a qualified Beauty, Sports and Holistic therapist with 11 years experience in the beauty/health sector. i am fully insured with BABTAC, (British Association of Beauty Therapy & Cosmetology). I treat people from all walks of life with many different requirements, from general aches and pains to conditions that affect peoples' every day-to -day life. 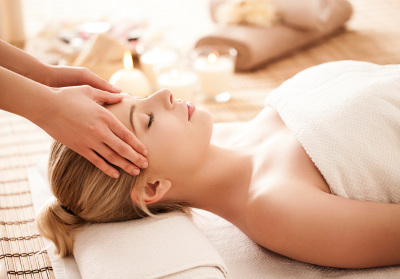 Treatments available are Sports Massage, Aromatherapy Massage, Swedish Massage, and Indian Head Massage. What are your skin problems? Together we can treat your concerns, e.g. fine lines / wrinkles, teenage skin, scaring, male skin etc. Treatments will be tailored to suit your needs. Visit Be-you-tiful and treat yourself to a luxurious Manicure or Pedicure. Choose from a 15 minute express manicure, exclusive gel manicure, or go the whole hog and have the luxury deluxe treatment that leaves hands or feet feeling their best.